A ship missing for over 300 years has been rediscovered, according to Colombian authorities – a boat with an estimated $17 billion in loot. The San Jose blowing up. Image via Wikipedia. San José was a 60-gun, 3-masted galleon of the Spanish Navy. It was launched in 1698, and was sunk in the battle off the coast of Cartagena in 1708, during a succession war. The war was fought between Spanish forces loyal to the Hapsburg Dynasty and those loyal to Prince Phillip, the next in line for succession. It’s estimated that the ship carried around 10 million pesos at the time, which brings the total estimated value of the haul to be up to $17 billion. “Without room for any doubt, we have found, 307 years after it sank, the San Jose galleon,” Colombian President Juan Manuel Santos announced at a press conference on Saturday, claiming it for his country (what year is it again?). However, this hasn’t yet been confirmed by an external scientific body, and the excavation could take years to come. The Colombian government is already treating it as a state secret though, to avoid plundering. They claim it’s in a different location than any previous claimant. Historically, the ship also carries an important legacy. “The heat of the blast came very hot upon us, and several splinters of plank and timber came on board us afire,” English Commodore Charles Wager, who led the the four-ship squadron that fought the Spanish treasure ship, wrote. “I believe the ship’s side blew out, for she caused a sea that came in our ports. She immediately sank with all her riches,” Wager said. 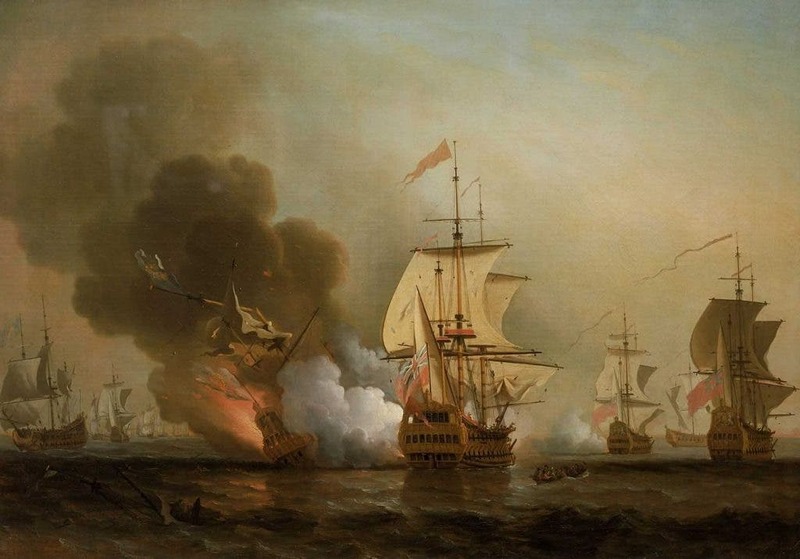 During the battle, the powder magazines of San José detonated, destroying the ship with most of her crew and the gold, silver, emeralds and jewellery collected in the South American colonies to finance the Spanish king’s war effort. Other individuals claim to have found the wreck in other places, but its exact whereabouts remained a mystery.